Alice Mae Coleman (nee Holcomb) passed away on Friday, February 1, 2019 in Cleveland, Ohio at the age of 83. A devoted wife, mother, grandmother, sister, and friend, Alice will be missed by many and remembered for her dedication to those she loved. Alice was born on August 17, 1935 in Bluefield, West Virginia to George and Beatrice (nee Dobbins) Holcomb. As part of the Great Migration, Alice moved to Cleveland, Ohio in the fall of 1953. She met her eventual husband, Jerome Coleman, in 1955 and the couple married on June 9, 1956. Jerome and Alice went on to have four children: Clifford (deceased), Ivan (Ivory), George (April), and Derek. 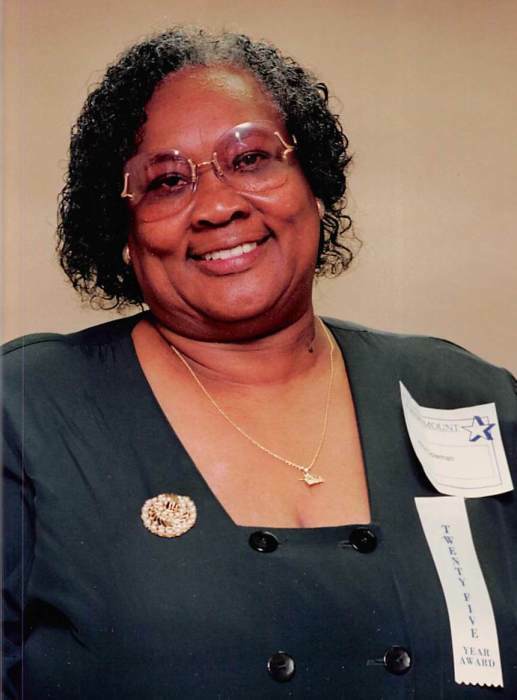 Alice worked as a Nurse’s Aide for nearly 30 years before retiring from Marymount Hospital in Garfield Heights, Ohio. Alice will be remembered for her straight-forward nature and her love of family. She was a faithful Christian who attended church services every Sunday until she was no longer physically able. Alice was a true matriarch of her family and will be deeply missed. Alice is survived by her loving husband of 62 years (Jerome), her sons (Ivan, George, and Derek), her siblings (Robert and Ruth), her grandchildren (Loretta, Tomieka, Alicia, Jasmine, Mikayla, Fancy, Latasha, Clifford, Lionel, Dejuan, I’Ron, Aleeya, and Geeyah), and a host of great grandchildren. Alice was preceded in death by her parents George and Beatrice, her siblings Ardelia, Marie, Dorothy, Eugene, Clifford, and Joseph, and her son Clifford.